I was in London the other week and took the opportunity to visit the 300 metre tall Shard skyscraper and do a trip up to the viewing decks on the 68th floor. I really like such high overlooks above city centres and this has long been missing in London with no publicly accessible high observation platforms. I moved out of London over ten years ago, relocating to Manchester in 2005. 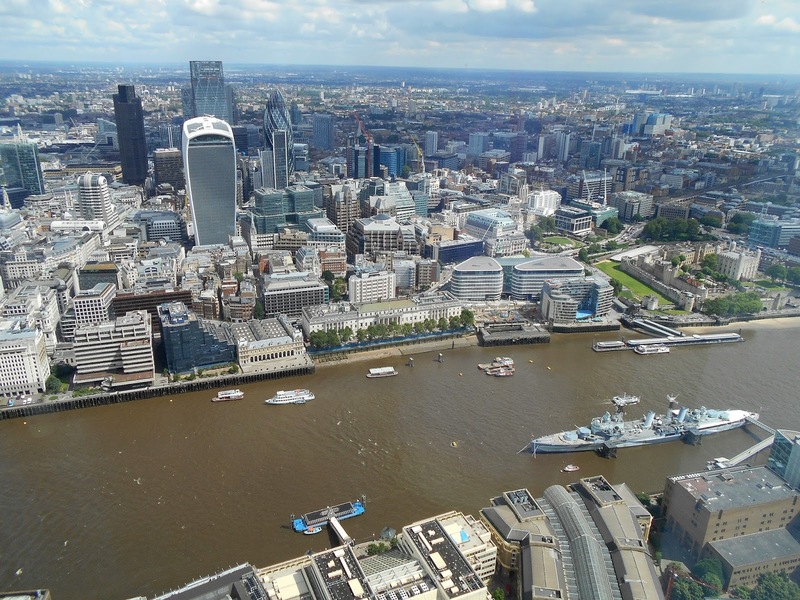 Since then there have been so many new tall towers built in central London, including the 'Walkie-Talkie' in the 'Square Mile' itself but also spilling out to other parts as land values have spiralled upwards and the planning constraints have seemingly been relaxed around speculative skyscraper development. Looking out over London from the Shard you get a very visceral portrait of the raw power of capitalism to transform landscapes and the rapidity in time that change can be enacted. One gains also a sense of the significance of central places, evident in the prominence of iconic buildings and symbolic sites, and how they are so geographically clustered to maximise accessibility. 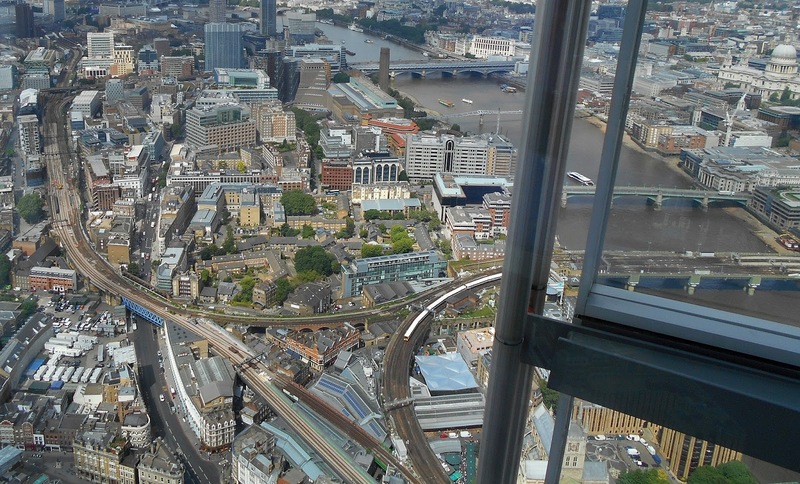 Another aspect of accessibility that struck me from the Shard's high perspective above London was how the surface railways, built in the second half of the nineteenth century, snake their way along the southern flank of the Thames to reach key train stations on the river. This transport materiality still in use today speaks clearly to the power of the Victorian era railway enterprise (and the skills of its civil engineers) to carve through this space, in what would have been a densely crowded city. Lastly, the Shard viewing deck also had an interesting loo with a view! This reminded of a previous research fascination I had with the 'smallest room' and in particular the role of sensor technology in the automatic production of public toilets. Very cool. Its making me a little afraid of heights and don't think I could use that bathroom with all that glass but still very cool! 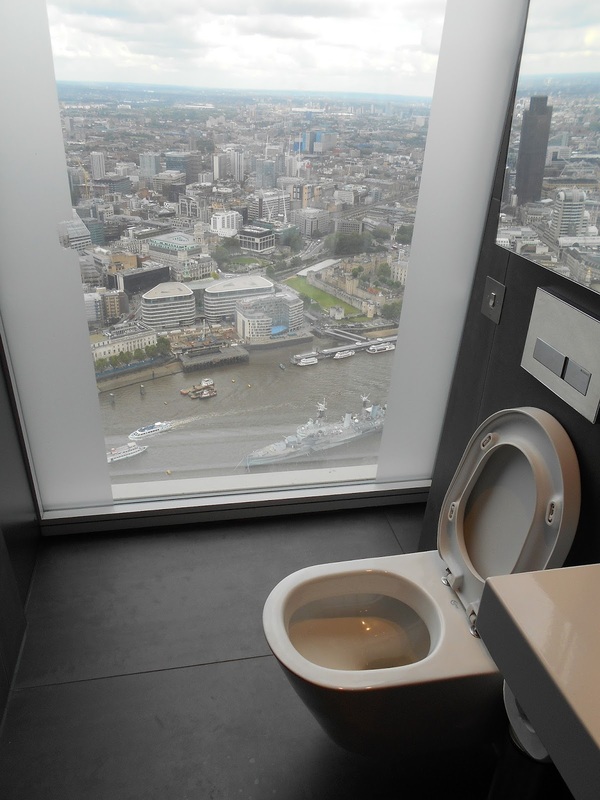 The view from that bathroom is seriously terrifying. I was researching in the Secrets of Writing an MSC Dissertation paper before I landed on this page and I have enjoyed reading the article on Views over Central London from 68 Storeys High. I will bookmark this site so that I can visit it occasionally to read both new and old books. Awesome post with a lot of information. Thanks for taking time to share this with us. Artificial intelligence (AI) is an area of computer science that emphasizes the creation of intelligent machines that work and react like humans. Some of the activities computers with artificial intelligence are designed. Very Nice Post, We love to read ! Kindly update such posts. Thank you. Python training in kalyan nagar! UETech Engineering has in-depth knowledge and experiencing in delivering cheap civil CAD drafting works in Melbourne, Australia. UETech Engineering focuses on civil, structural, electrical, mechanical, utility and any other type of engineering drawings.